The last full meeting of DeKalb’s Safe/Quality Task Force was November 16 and I attended. A funny thing happened there. The meeting started out with members expressing dismay that the city had unilaterally brought in a consultant to work on some of the same issues the Task Force is addressing, namely property maintenance code enforcement issues. A member asked what was it about the Task Force’s work that was not satisfactory to the city council. The mayor and city manager sprang into damage control mode. They said it was a recommendation of the city council, that the consultant was meant to work with the Task Force as a resource, and that the firm was “not yet hired” to craft actual ordinances. None of these assertions is particularly true. In September, the city manager brought in a consultant, Klein, Thorpe & Jenkins, Ltd., to survey the city council and staff about property maintenance and rental housing challenges. 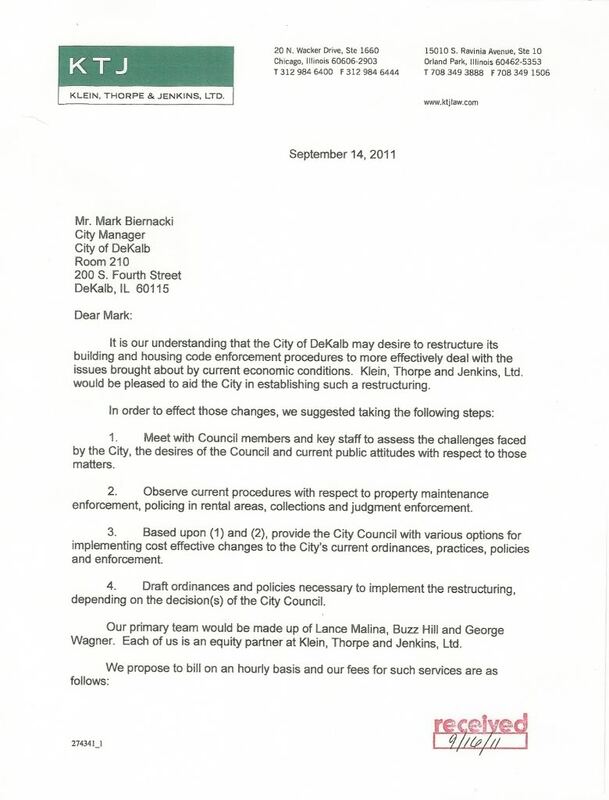 Below is a September 14 letter from KTJ to the city, which outlines the scope of the work. You see any mention of Housing Task Force involvement in this letter? Why is drafting of ordinances #4 on the list if the city hasn’t hired KTJ to do that? I believe KTJ’s involvement was supposed to remain a secret from the Task Force because it involves a sneaky return of the fatally flawed Rental Inspection Program, but members got wind of it. It would explain why city staff did not decide to involve Task Force members at the start. 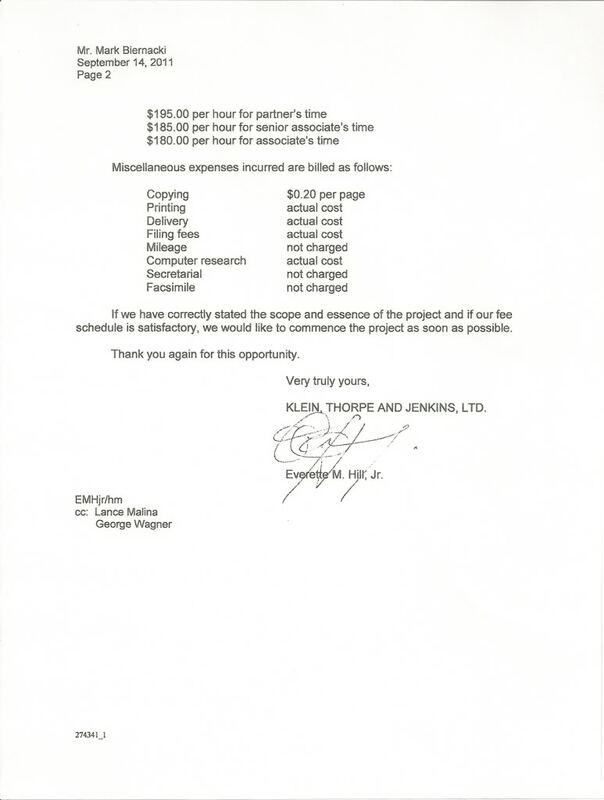 Correspondence obtained from the city under the Freedom of Information Act (FOIA) indicates KJT finally was set to interview the landlord’s subcommittee on November 7 and conducted the interviews November 16, two months from the sending of the scope-of-work letter and on the very day the full Task Force met. Even if I’m wrong, that’s still a heck of a way to treat volunteers who are working hard to make DeKalb a better place to live.